Back in the Building, the latest album from local hip-hop duo UnKommon, is inseparable from the circumstances surrounding it: the death of founding member Ryan Morin. If you live in Burlington and are in any way connected to local hip-hop, or local music in general, it's been hard to avoid news of Morin's recent passing. Known to the local hip-hop scene as DJ BP — although he always introduced himself as Ryan — he had long been an advocate for homegrown talent and was a tireless source of optimism and support. But Back in the Building is a testament to his growth as an artist and an MC in his own right. Sadly, posthumous releases are all too common, and many such records feel rushed or incomplete. But that is absolutely not the case here. For one thing, the album was completed before Ryan died and released in the days afterward. The sound quality is rough on a few tracks, but, in terms of songwriting, everything is not only finished but polished. You can hear how much work and practice went into each cut. UnKommon were eager to impress. The album launches with the propulsive title track on which BP and rapper Kin reprise the vibe of their debut, Real Hip Hop. After that nod to their roots, though, UnKommon get straight to work expanding their horizons. The feel throughout alternates between catchy, laid-back funk — a BP specialty — and crushing, up-tempo fast rap. The rappers sound equally comfortable in either gear. The songs collected here are mostly concept-driven, much like Kin's recent side project, Unusual Subjects, with perennial 802 battle champion Learic. The commitment to lyricism reaches an almost absurd peak on "Capitals," a song whose hook makes the its conceit crystal clear: "Fifty state capitals, we're 'bout make them rappable, the list is alphabetical, every letter compatible." They then proceed to bang out a killer back-and-forth routine doing exactly that. It's almost a magic trick. The biggest surprise here is Morin himself. What makes Back in the Building such an uncomfortable, emotional listen is how damn good BP's performances are. His improvement on the mic since the duo's debut is hard to overstate. He had clearly grown into his own flow and style and delivered his verses with real fire in his belly, frequently outshining his more experienced partner. While UnKommon reference hip-hop constantly, the unifying thread on all 10 tracks here is an unabashed love of music — every genre, every era that exists on record is referenced and name-checked at some point. Much like Montpelier-area party demolition unit Boomslang, UnKommon proudly identify as students of their craft, tempering the braggadocio with a genuine respect for their elders. Inevitably, Back in the Building stands as an important piece of Burlington music history, a memorial by default for a genuinely kind human being who loved to entertain. What makes it special, though, is the clockwork-tight songwriting and sheer love of the art form that infuses every track. Ryan Morin's enthusiasm and smile, both notoriously contagious, will be missed for a very long time to come. We were lucky to have him. 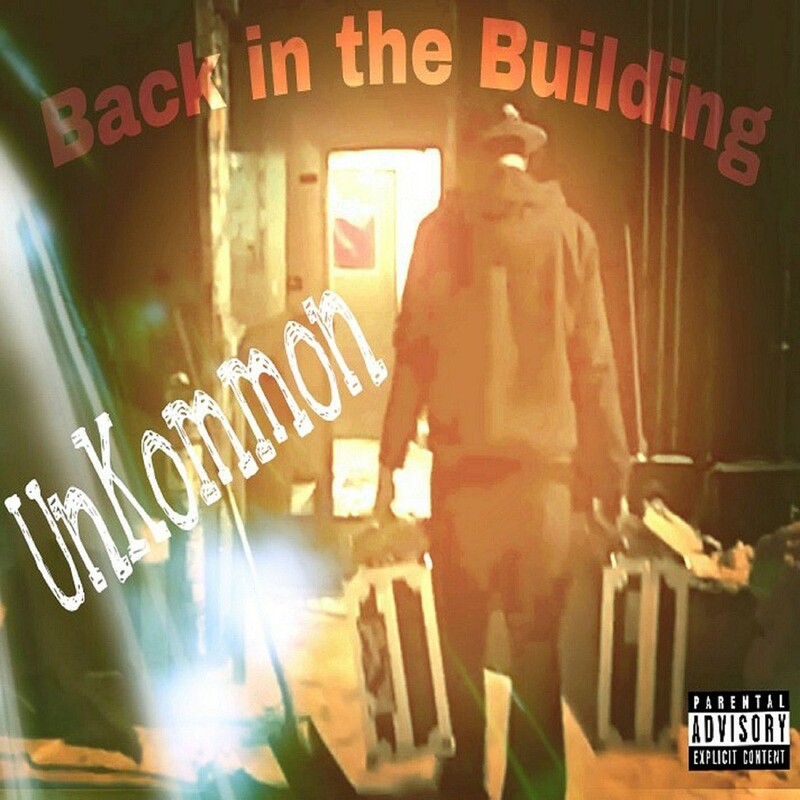 Back in the Building by UnKommon is available at unkommon802.bandcamp.com. Top VT Singles 2016: UnKommon, "Capitals"